Conroy's Inglewood is committed to offering only the finest floral arrangements and gifts, backed by service that is friendly and prompt. 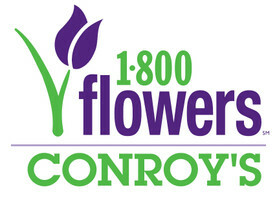 Because all of Conroy's Flowers' customers are important, Conroy's Flowers' professional staff is dedicated to making your experience a pleasant one. That is why Conroy's Flowers always goes the extra mile to make your floral gift perfect. Let Conroy's Flowers be your first choice for flowers in Inglewood, Stanton, Cypress, Anaheim, Fullerton, Buena Park, Orange, Westminster, Garden Grove, Huntington Beach, Seal Beach, Culver City, Gardenia, Venice, Playa del Rey. Place your order by 1pm for same day delivery. From Birthday to Anniversary to Get Well flowers - all available for residential, hospital, and business delivery - trust Conroy's Flowers and Gifts to have just the right arrangement for you. Sign up for our newsletter for updates, new products, and happenings from Conroy's Flowers Inglewood.